How much compensation for medical negligence resulting in death? Every medical professional – be it a doctor, a nurse, a pharmacist, or a diagnostic staff – owes a “duty of care” to their patient. When this professional code is violated and causes the death of an individual, the circumstances of the death may be defined as “death due to medical negligence.” When claims are made against doctors or other healthcare professionals, legal proceedings fall under the purview of clinical negligence. This guide provides an overview of the legal claims procedure that usually follows medical malpractice causing death. If you ever need legal assistance in a similar case, this guide will provide details on the benefits and the process of engaging a law firm. A guide to medical negligence resulting death claims. Claiming for a death caused by medical negligence. Claiming against the NHS for a death caused by medical negligence. Is there a time limit for making a medical negligence causing death claim? Death by medical negligence facts and statistics. Medical professional’s duty of care. What different reasons for a death due to medical negligence claim are there? Are there different types of death due to medical negligence claims? What to do if you have lost a loved one due to medical negligence? Who can claim for a death caused by medical negligence? What can be claimed in death caused by medical negligence case? No win no fee death by medical negligence claims. How much can I claim for a death caused by medical negligence? How to start a death due to medical negligence claim. Why choose us as your claims service for a death due to medical negligence claim. This guide has been created for the benefit of UK residents who may not be fully aware of the legal consequences of medical negligence cases causing death. The sections in this guide will explore the common circumstances involved in medical negligence cases which lead to the death of patients. It also discusses how and when the legally qualified persons close to the deceased can file a claim, explains the time limits for filing claims, and then describes the procedures involved in death due to medical negligence cases. We will also examine the difficulties of estimating how much compensation for death due to medical negligence. If you are wondering how much compensation for medical negligence resulting in death cases typically involve, we will detail the costs, expenses, and other factors which are considered when deciding a settlement total. If you have any unanswered questions, feel free to contact our team and arrange a free consultation session. Medical negligence involves a breach of a professional’s “duty of care,” a duty which every medical professional owes to the patient. Such a breach could involve a deviation from the standard practice, whether due to ignorance or any other reason. When a negligent act causes severe damage or even death to a patient, the circumstances are defined as medical negligence. Medical negligence can also cause minor damages, but even the slightest breach is worthy of consideration under the strictest laws existing in the UK’s medical trade. Providing medical negligence compensation examples can be difficult. If you believe that medical staff have acted in a negligent manner resulting in a death, you can discuss the matter with our legal team at any time. The National Health Service (NHS) in Britain provides healthcare for the vast majority of the population. With so many patients and staff, there are occasionally cases in which an error, an accident, or a mistake occurs. In certain circumstances, these issues can be caused by medical negligence and can result in the death of a patient. In NHS negligence claims death and injury cases will often follow the same legal pathway. Medical negligence cases are typically filed against the staff members of National Health Service (NHS) in England and will involve a pre-determined legal route, involving claiming compensation from the hospital and the health service at large. As we will see in a later section, this means such cases are usually categorised as being of vicarious liability. Claims involving negligent NHS employees are addressed through the Clinical Negligence Scheme for Trusts. This special program is funded by NHS Trusts operating on a “pay-as-you-go” basis. If you require assistance in navigating the complicated nature of these procedures, we can provide you with expert legal advice and assistance. Your memory remains fresh for documenting the details of the incident. You are less likely to lose important documents. Laws pertaining to medical negligence cases are likely to remain the same. Cases involving death will likely cause a great deal of grief. This can make it difficult to file a claim. However, engaging a Claims Service can make the process much quicker and easier. According to health statistics firm Dr Foster, 16 NHS hospital trusts in England had higher than expected death rates among patients in hospitals in 2013. In 2012-2013, about 237,100 patients died in the hospital — 4,400 more than the same figure in 2011-12 but 5,300 fewer than the figure in 2010-2011. Further analysis revealed that 13 hospital trusts scored low in two of the four indicators used in rating patient deaths in hospitals. (The four indicators were number of in-hospital deaths, post-surgery deaths, death within 30 days of release from hospital, and death among low-risk patients). A majority of the hospital trusts scored low on at least two or more of the death-rate indicators. For 2013-2013, only four hospital trusts were awarded “trust of the year” awards for good performance and low death rates. According to researchers at the London School of Hygiene and Tropical Medicine, one in every 28 deaths in the NHS trust hospitals could be attributed to substandard healthcare practices such as incorrect diagnosis, wrong medicines, or poor monitoring facilities. If you feel that your claim matches any of the above statistics, you may be owed compensation. For further information, call our offices today. The “duty of care,” adhered to all medical professionals, compels them to take the maximum care and precaution in all treatment decisions, procedures, and logistics. For example, groups such as the Royal College of Obstetricians and Gynaecologists provide detailed and comprehensive guidelines on how medical practitioners should act in almost any given situation. Breaking from this advice can be considered an act of negligence. The duty of care mandates that all healthcare professionals must treat the patient’s welfare as the foremost priority during any medical diagnosis or treatment procedure. If a breach of that code causes any damage to any patient, a case of “medical negligence” can be brought forth, depending on the severity and extent of the damage. Surgeries which have resulted in complications – death resulting from poorly conducted or mistakenly prescribed surgeries or medical practices. Anaesthesia mistakes – death caused by anaesthetic which has been incorrectly administered during surgery or other procedures. Misdiagnosis – if an illness or health concern is not correctly diagnosed, which in turn leads to the issue becoming worse or the patient dying. Issues with cosmetic procedures- death caused by either procedures or aftercare related to cosmetic surgeries or practices. Care negligence – death due to improperly prescribed or practised care as it happens in a nursing home, which is often considered a leading cause of death in nursing homes. You may be wondering “how much compensation will I get for medical negligence?” As we will see in later sections, it is typically the severity of the above issues which will determine the final amount. Contributory negligence – The victim is deemed to be the responsible party for the final outcome of medical negligence, perhaps through not taking the medicine they were prescribed. No compensation is usually awarded in such cases. Comparative negligence – Here, the victim is considered partially responsible for the injuries he or she has sustained before death. A court case usually determines the level of responsibility shared by both the victim and the defendant. Vicarious liability – In this instance, the claim will be made against the organisation rather than the individual that was involved in the case. For example, you might make a claim against the NHS or a private healthcare facility, rather than one specific doctor. If the act of negligence is seen as an institutional failing, the claim will likely be categorised as one of vicarious liability and may result in private or NHS compensation payouts. Gross negligence – When a medical practitioner blatantly disregards the best healthcare practices, it is considered to be gross negligence. For any medical professional, the health of the patient is of the highest importance. This type of medical claim is usually contested in a court, with the medical license of the practising medical professional likely to be revoked. However, such a decision is taken by the court only after hearing the entire case. In a consultation session with a law firm, one of the first steps in evaluating your claim will be determining which of the four categories it best fits. In doing so, we will be able to make more informed predictions and estimates about your case. Seek a second medical opinion. In order verify the claims of a medical practitioner or a hospital involved in a medical negligence case, you can seek a second opinion. If you need further medication evaluation of the situation, we can arrange this on your behalf. Organise and document any evidence you can. This can include notes, emails, x-rays, and any communication or information which pertains to the case. Start gathering all bills and receipts and estimating the financial losses. This can be anything from medical expenses to loss of income to expenses due to psychological trauma. When we are determining how much compensation for medical negligence resulting in death, this evidence can be incredibly helpful. When proceeding with your claim, bringing the above evidence to a law firm can form a solid foundation and can improve your chances to winning compensation. The dependants of the deceased person. The family members of the deceased person. In other words, the compensation awarded in a successful claims case is likely to be used for the future financial maintenance of the dependents, family members, or the estate. What Can be Claimed in a Death Caused by Medical Negligence Case? General damages, which may include compensation for doctor’s negligence, compensation for medical staff negligence, compensation for hospital negligence, and for the pain and suffering caused to family members. Special damages, which may include ambulance expenses, hospice expenses, aftercare expenses, and other expenses involving the victim. Medical expenses, which may include all medical expenses before, during, and after the death of the victim, such as the need for a specialist or private healthcare. Travel expenses, which may include all transportation costs for travelling between the hospital and the victim’s home, between the law office and the victim’s home, and all other trips related to the death due to medical negligence case. The process of figuring out how much compensation for medical negligence resulting in death will involve considering all of the above factors. With the advice of a professional legal team, you can be sure that you’re claiming the full compensation total and can maximise your payout amount. Given the devastating nature of the death of a family member of a loved one, we try to provide our clients with the maximum financial and emotional relief in a medical negligence case. We understand how trying these times can be, not only emotionally but financially as well. As such, our Conditional Fee Agreement (CFA) deal – also referred to as our ‘No Win No Fee’ agreement – protects you financially. You will not be charged anything unless you win the claim and are financially compensated. This dramatically reduces the risk of working with a dedicated legal team and allows you to reduce your stress levels at an already difficult time. It’s part of our ongoing commitment to client-friendly legal services, so call us today to find out more. Trying to estimate the payout totals for cases involving death can be difficult. However, the following table provides some representative injury types with associated severity levels, applicable payment terms, and descriptions. You must understand that an individual medical negligence claim settlement case is settled on the merits of the case alone, so these figures may or may not apply to your case. However, you can still use this compensation payouts guide; you can get a good idea of average payout for medical negligence resulting in death, at least in terms of how certain conditions and certain severity levels are able to affect the final compensation amount. Death (baseline) £12,500 - £300,000 A baseline figure rolling multiple compensation types into a single figure. Death (full awareness) £15,950 - £18,100 Full awareness despite serious injuries, death within 2 weeks. Pain and suffering £1,000 - £200,000 Driven by the level of suffering incurred by the victim. Loss of benefits £5,000 - £500,000 Driven by actual loss of benefits incurred by the victim. Though the table lists a number of representative health conditions, it is likely that the health condition you are looking for is not mentioned at all. Nonetheless, the table can be used to illustrate how the severity of a health condition influences the compensation amount. For accurate compensation claims procedures and death compensation calculation, you should use the contact information provided below to get professional advice from our legal team. complicated and the circumstances may be complicated by your lack of familiarity with the laws, regulations, and processes involved in such a claim. That is why a professional team can prove to be so useful. If you are wondering where to start with a legal claim, we recommend contacting our offices immediately. We are able to offer a free, no-obligation legal consultation. In this session, our experienced medical negligence solicitors will hear your case, review the evidence, and objectively evaluate the case. If you have a strong case, our solicitors will be able to provide an estimate of compensation settlement. We can also arrange a third-party medical opinion for an unbiased view of the case. Our legal team is ready to offer free advice and legal representation during the court proceedings if you desire. If you’d like to begin a claim, starting with this consultation is the best option. Death due to medical negligence can leave the family members with a feeling of betrayal and mistrust. 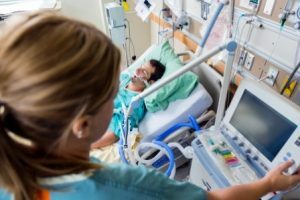 Given the trying circumstances, you are likely to look for a law firm that is highly ethical, friendly, and experienced in winning death due to medical negligence claims. A no-obligation legal consultation offered for free. Conditional Fee Agreement, providing a ‘No Win No Fee’ deal for clients. A law firm which offers integrity, ethics, and client-friendly attitudes. Expertise in everything from the legal to the administrative sides of the claim. If you are looking for competent and trustworthy legal assistance, you have come to the right place. All you have to do is get in touch with our team right away. If you think you have a claim, get in touch with us to discuss the specifics of the case. We offer advice, expertise, and a range of services designed to suit you. Call us at 0800 073 8804, chat with us on our website, or use the online contact form to get in touch. When you need legal representation, we’re the perfect choice. 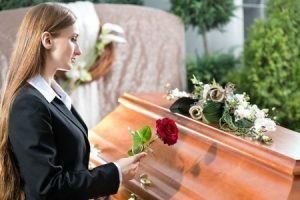 How Much Compensation Can I Claim for a Death? Their is many different things you can claim for when claiming compensation for a family member or loved one Find out full amounts of compensation that you could claim. This NHS link explains about bereavement and information on help and support after a death. This Citizens Advice link has key points on what to do after a death to help you. How To Start a Medical Negligence Claim? This link explains how to start a medical negligence claim for more information on how to start a medical negligence claim contact us on our free phone number or our live web chat and we will give you free legal advice on what to do next. Have you lost a family member or loved one due to a misdiagnosis that resulted in death? contact our medical negligence specialists today. How to make a complaint about an NHS service? Every NHS organisation has a complaints procedure. If you have lost a love one due to medical negligence our solicitors can help you file the complaint with your compensation claim for more information contact us today and get free advice.